Let's be honest; some guys are willing to steal a little moisturizer from a chick's stash and apply it. However, your skin is different from a woman's, according to the International Dermal Institute. Men are lucky to possess thicker skin with more collagen, but men sweat more than women and our skin produces more oil. Therefore, when it comes to protecting and caring for your skin, you need hand and body lotions designed specifically for the male species. 1. Buckler's Chapped Skin Remedy. This is a classic that features a nice, thick and fragrance-free formula that absorbs quickly into rough, weather-damaged hands. It goes to work immediately and performs without leaving a greasy residue. It's amazing on chapped knuckles and superb also to use on elbows, knees and feet, which often suffer from cracking and extreme dryness. Buckler's contains excellent softeners like shea butter, aloe, sunflower oil and Vitamin E.
2. Jack Black Industrial Strength Hand Healer. This is a rugged hand cream for rugged men who like to play hard, and maybe that's why Jack Black is found in the locker rooms of some of the NFL's finest athletes. Calluses, cracks and chapped skin are no match for this emollient-rich cream. Ingredients like Vitamin A and E add super conditioning, along with macadamia nut oil for moisture and eucalyptus oil for that zing and antiseptic protection. Jack Black is nourishing for those who wash their hands a lot. 3. Bill Jealousy Sake Bomb Body Moisturizer. This body lotion is a real gem, offering a lightweight base, refreshing scent and quick absorbing action. Exotic plant-based ingredients like Monoi de Tahiti provide exceptional skin softening and hydration. The formula contains peppermint oil to stimulate your body and jojoba oil and yogurt powder to exfoliate dead skin cells. The Sake Bomb is never greasy and adds a conditioning firmness to the skin. 4. Menscience Advanced Body Lotion. If your skin looks and feels dull and dry, this anti-aging rich formula can work wonders. Menscience is super light, oil-free and quickly jumps into action to increase the skin's moisture levels and soften with professional-grade water-binding ingredients. The formula is never sticky and made with hyaluronic acid, aloe, glycerin and soy extracts. Menscience's advanced products are men's grooming the modern way. And don't be afraid to use some evolution of smooth lip balm, it's not just for women. 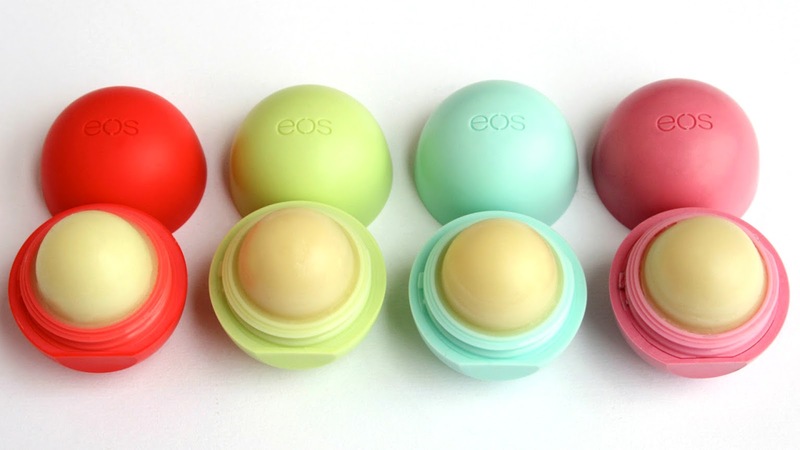 *This is a guest post & is sponsored by eos lip balm. Adoro essa marca, são ótimos! Great post, they all sound lovely!